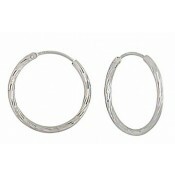 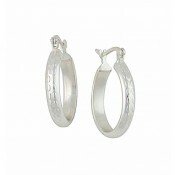 With their charming simplicity, you cannot help but love these silver hoop earrings. 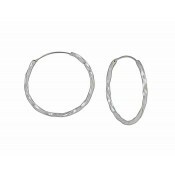 Each one has a 30cm diameter and features a row of smaller rings threaded on to it. 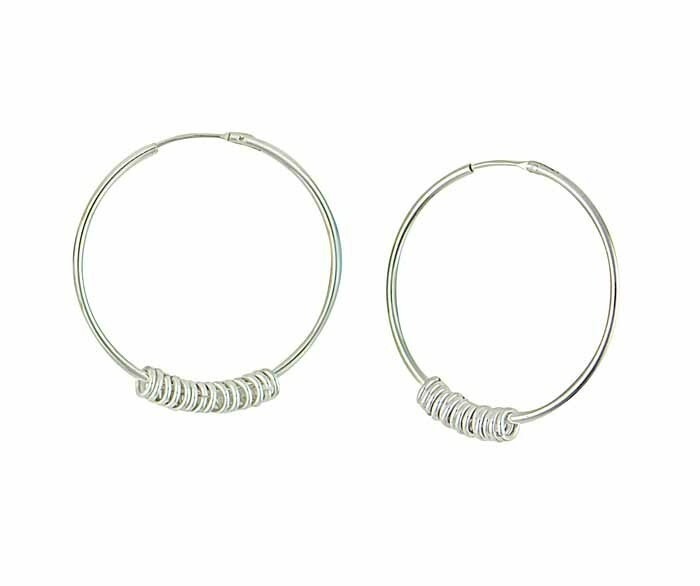 Their full eternity design sits comfortably for all-day wear while possessing a touch of detail that lends itself to all events.